When our clients sold their hostel (Alicante Backpackers), the new owner (Nicci) contacted us to discuss redesigning the website that came with it. 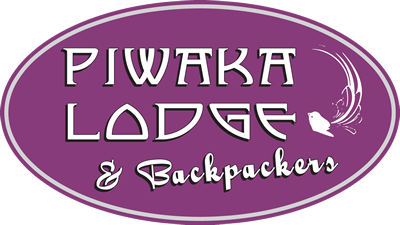 She had plans to rebrand the business with the new name being Piwaka Lodge & Backpackers. We discussed what would be involved in redesigning the website - what she would like to keep from the current website and what she wanted changed/added. We also discussed the steps that would need to be taken once the website was launched to minimise the SEO impact of the rebranding. Nicci was pleased with our initial discussion and was ready to proceed right away. The website redesign began on 12th December 2018. The settlement of the purchase of the hostel was set for 20th December and Nicci wanted to have the new website live shortly thereafter. We aimed to make that happen. Most of the content of the old website was transferred over to the new one. The About page and the Activities page were the ones that needed the most work. Nicci was very proactive in providing the content we needed and very responsive in providing feedback throughout the process. This helped us to move the project along quickly towards completion. Following the settlement date, we were ready to go live and the new website was launched 21st December 2018.